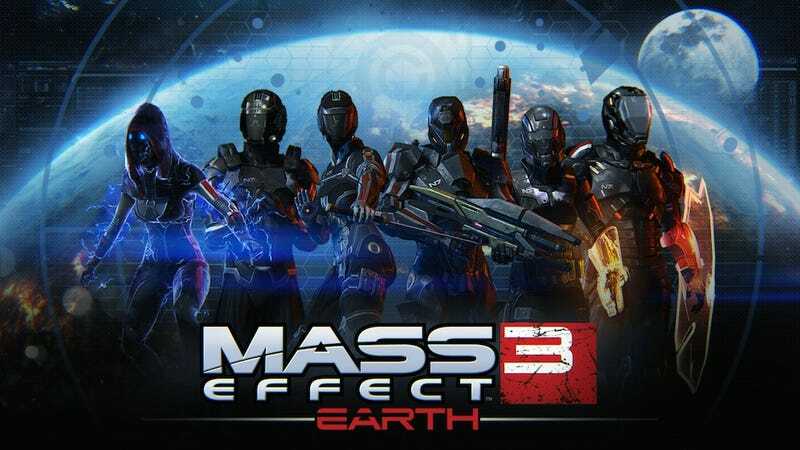 Mass Effect 3's Earth DLC will hit PC, Xbox 360, and PlayStation 3 on July 17, developer BioWare confirmed today. Three New Maps – With the fate of the galaxy at stake, Earth's military efforts have concentrated on three strategic locations. Defend Firebase Rio, home to the N7 training facility, along with Firebase Vancouver and Firebase London in the last stand for mankind. New Array of Playable N7 Characters – Step into the boots of the Alliance's most elite military unit with the N7 Demolisher Engineer, N7 Destroyer Soldier, N7 Fury Adept, N7 Sentinel Paladin, N7 Shadow Infiltrator and N7 Slayer Vanguard. New Powerful and Unique Weapons – Lay waste to the enemy by unlocking the N7 Piranha Shotgun, N7 Typhoon Assault Rifle and Acolyte Pistol. New Powerful Upgrades – Outfit your weapons with 12 new modifications and fortify your gear with 11 unique upgrades to defeat even the toughest foes. New "Platinum" Difficulty – Conquer bronze in your sleep? Take down Silver with one hand? Beat Gold without breaking a sweat? Then grab your friends and test your skills on the brand-new Platinum difficulty. New In-Mission Objective – Randomly occurring during waves 3, 6 and 10, this new objective will challenge teams to keep a targeted agent alive by protecting and escorting them to a designated extraction zone on each map.